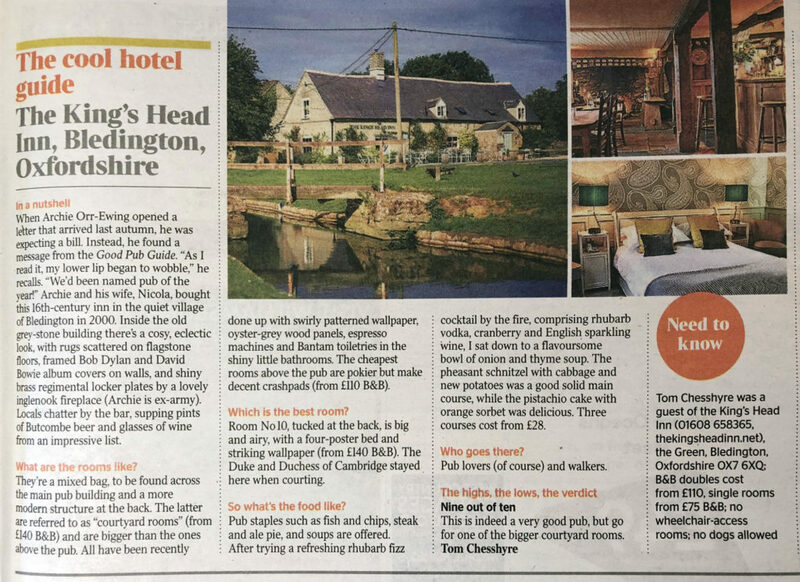 We’re so pleased to have been featured in this article ‘The Times Cool Hotel Guide’ in Saturday’s Times. A huge thanks to Tom Chesshyre for including us. They’re a mixed bag, to be found across the main pub building and a more modern structure at the back. The latter are referred to as “courtyard rooms” (from £140 B&B) and are bigger than the ones above the pub. All have been recently done up with swirly patterned wallpaper, oyster-grey wood panels, espresso machines and Bantam toiletries in the shiny little bathrooms. The cheapest rooms above the pub are pokier but make decent crashpads (from £110 B&B). 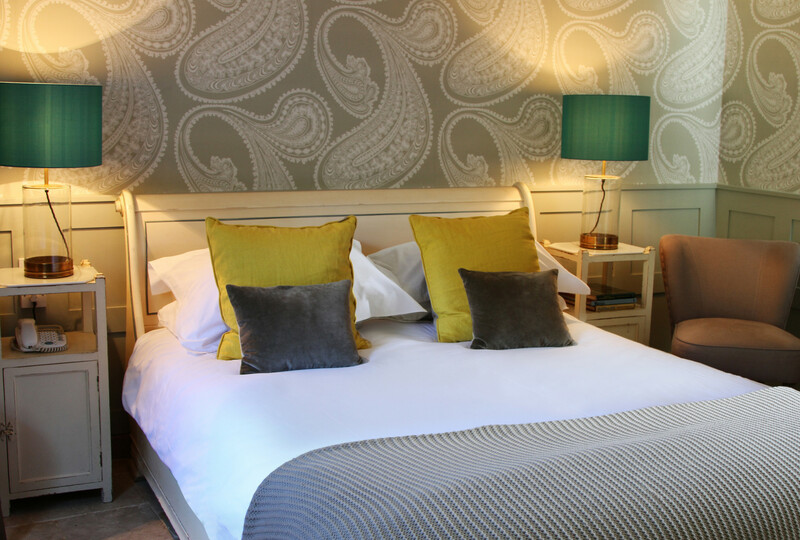 Room No 10, tucked at the back, is big and airy, with a four-poster bed and striking wallpaper (from £140 B&B). The Duke and Duchess of Cambridge stayed here when courting. Pub staples such as fish and chips, steak and ale pie, and soups are offered. After trying a refreshing rhubarb fizz cocktail by the fire, comprising rhubarb vodka, cranberry and English sparkling wine, I sat down to a flavoursome bowl of onion and thyme soup. The pheasant schnitzel with cabbage and new potatoes was a good solid main course, while the pistachio cake with orange sorbet was delicious. Three courses cost from £28. Pub lovers (of course) and walkers. 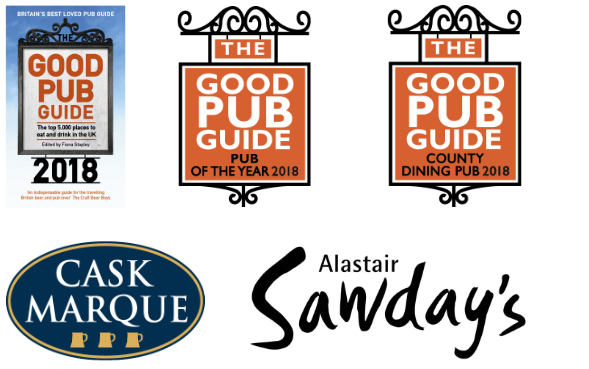 Nine out of ten – This is indeed a very good pub, but go for one of the bigger courtyard rooms. Tom Chesshyre was a guest of the King’s Head Inn (01608 658365, thekingsheadinn.net), The Green, Bledington, Oxfordshire OX7 6XQ; B&B doubles cost from £110, single rooms from £75 B&B. 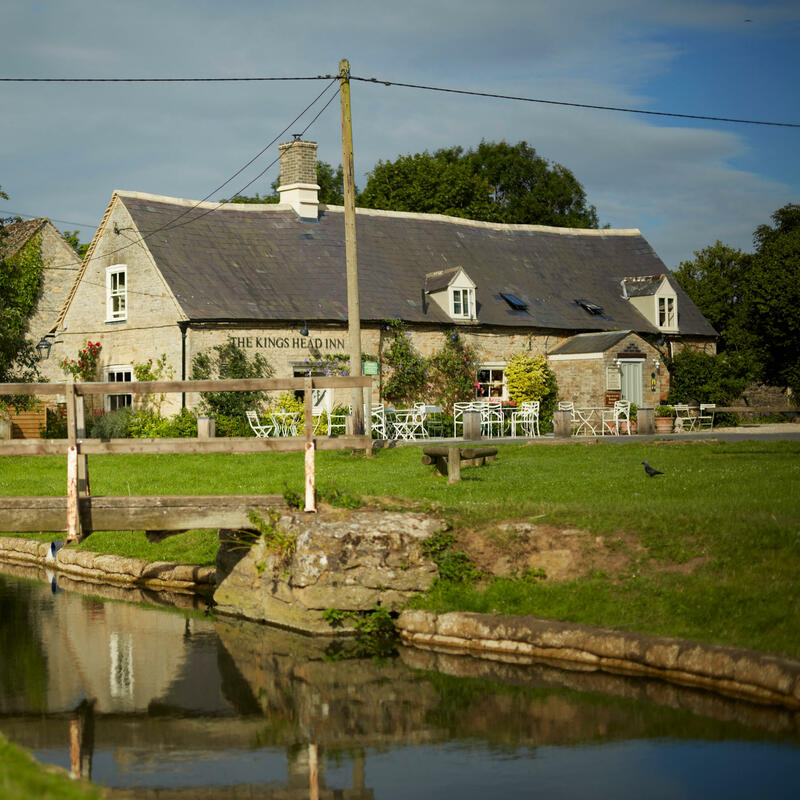 Review and check availability of Accommodation at The King’s Head Inn HERE.